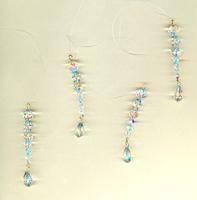 Add some sparkle to your holiday with these hand beaded glass icicle tree ornaments! Four individually made icicle tree ornaments make perfect holiday decorations or gift box toppers. 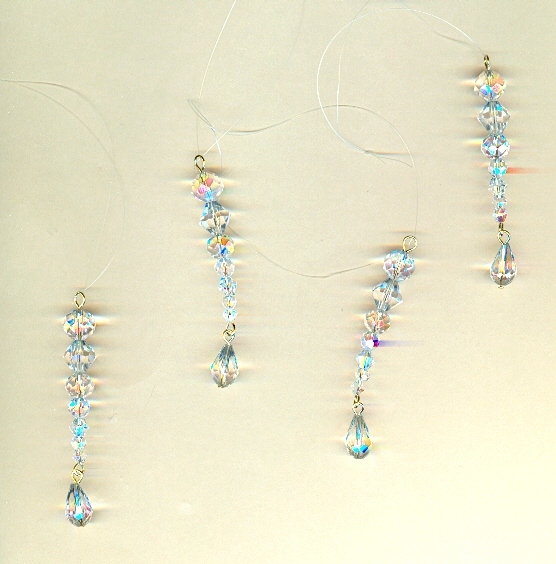 Each one of the tree ornaments measures about 2-3/4" long, and is made from faceted clear beads with an aurore boreale finish. Be sure to see all our other Holiday-themed tree ornaments at SPARKLE PLENTY. All designs, text and photos copyright Sparkle Plenty Fine Beaded Jewellery 2002-2010 and may not be reproduced in whole or in part without prior, express written permission. All rights reserved.